Reading FC Women have signed England Under-23 striker Emma Follis from Women's Super League Two rivals Aston Villa Ladies. Earlier in the week, Reading confirmed the signing of 27-year-old Wales international centre-back Kylie Davies from Millwall Lionesses. Follis, 23, spent 14 years with Villa and graduated from the club's centre of excellence. 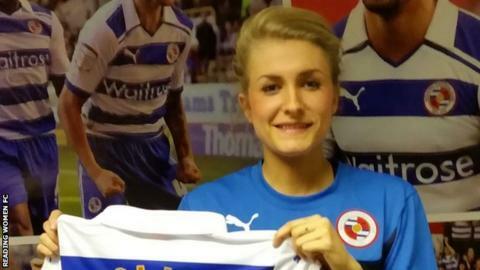 "Emma is a great signing," said Reading manager Kelly Chambers. She told the club website: "Emma is a young player who has an exciting future in the game and is hungry to develop."